Boden have done it again with another great stylish print dress in their girls range for Autumn. It’s true. Kids do have all the best things. As the Vintage Dress Range at Boden demonstrates only too well. 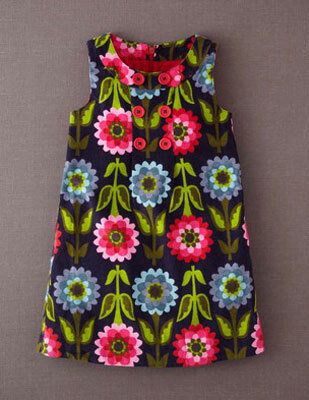 A Mix of cool contemporary and some hip retro come together for the Button Pinafore Dress range at Boden.